Monoglycerides are among the most widely used emulsifiers in the food industry, but they can become lumpy under certain conditions. Many food manufacturers faced a challenge with product flowability when using powdered, inhomogenous emulsifiers. This led DuPont Nutrition & Health to develop the unique beaded format of DIMODAN® HP 90-M – a homogenous emulsifier that enhances food manufacturers productivity. 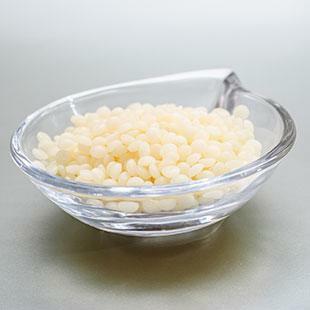 DIMODAN® HP 90-M from the DuPont™ Danisco® ingredient range comes in a beaded format that helps reduce lump formation, resulting in better product flowability. In addition, dust formation is significantly reduced during production, leading to improved safety and health conditions for the handlers. DIMODAN® HP 90-M delivers the same functionalities and quality as existing monoglyceride emulsifiers and can be applied in various applications including margarine, non-dairy creamers, whipping gels and many more applications. DIMODAN® HP 90-M is a naturally and sustainably sourced emulsifier, based on palm oil. As of January 2017, DuPont Nutrition & Health completed its switch to 100% certified sustainable palm oil and palm oil derivatives used in its global emulsifier production. This means that the company’s entire global range of palm-based emulsifiers is now based on RSPO-certified sustainable palm oil and derivatives, which promotes the production of palm oil with greater consideration of its environmental and social impacts. The DIMODAN® HP 90-M is part of the broad DIMODAN® range from DuPont™ Danisco®, which is designed to help food manufacturers develop and produce hydrogenation-free products. Based on sunflower, rapeseed, palm or soya bean oil, these emulsifiers are commonly used in bakery, oils, fats, dairy, frozen desserts, confectionery and plastics, and are available in various formats and packaging.